As we are getting close to the one week mark of moving, we are having to say more and more goodbyes. Friends from the Hop Along Playgroup have been some of the hardest to leave. We enjoyed one last hurrah with them to celebrate Christmas. 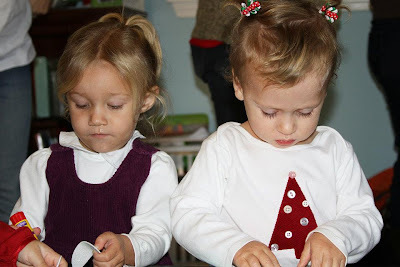 EJ enjoyed a little craft time and dance time with her dearest friends. I am thankful for the time we did get to enjoy with this wonderful group and look forward to reconnecting some day in the future!